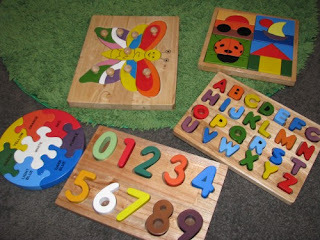 When my grandson was a toddler, I found some wooden puzzles with large pieces for him. He loved them, especially the ones that made noise—animal sounds or emergency vehicles. The learning experience he gained putting them together such as cognitive skills, eye-hand coordination, item identification and focus were valuable lessons in his development. As he’s grown older, I’ve found more complex puzzles for him. At age nine, he's a very competitive child and likes me to participate with him, issuing challenges to see who can assemble the puzzle the fastest. We didn’t have puzzles in my home when I was a child, but I remember visiting an older friend of my mother’s who always had a puzzle in process in her living room. But now, I'm discovering that I enjoy putting puzzles together, and was pleased to learn the activity is beneficial to our brains, stimulating our brain activity as we grow older. Puzzles were originally pictures painted on wood and then cut into pieces. The commercialization of puzzles in 1760 is credited to John Spilsbury, an engraver and cartographer in London. The early jigsaw puzzles were known as “dissections,” and were produced by mounting maps on sheets of hardwood and cutting along national boundaries with a marquetry saw. Useful for learning geography, these early maps were used to teach the children of King George III and Queen Charlotte by royal governess Lady Charlotte Finch. Around 1880, the name “jigsaw” was associated with the puzzle when fretsaws became the tool used for cutting the shapes. Cardboard jigsaw puzzles appeared in the late 1800’s, but were slow to replace the wooden puzzles because they were perceived to be of lower quality. 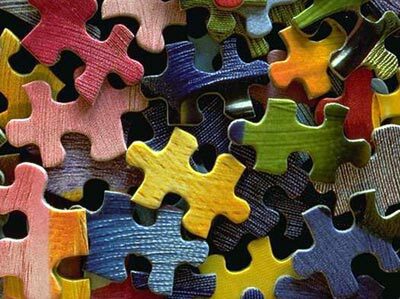 Jigsaw puzzles became very popular during the Great Depression because they provided a cheap, reusable form of entertainment. It was during that time the puzzles became more complex and appealing to adults. Manufacturers often gave away puzzles of their products for advertising. Today’s puzzles are enlarged photographs or reproductions glued to cardboard and run through a press that cuts the pictures into pieces. 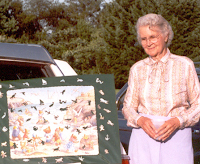 Rachel Page Elliott (1913-2009) started cutting wooden jigsaw puzzles when she was in her seventies. For twenty years, she shared her techniques, artistry and insights about making puzzles and won many national awards for her craftsmanship. The Guinness Book of World Records recognized her for creating a jigsaw puzzle that sold for the highest price ever - $27,000. The puzzle featuring a signed print entitled “The Outing,” was sold at a charitable art auction benefitting the Golden Retriever Foundation in 2005. Ms. Elliot was 92 years old at the time and had just updated her world-renown book, Dog Steps. Do you enjoy putting puzzles together? Did they play a role in your family? 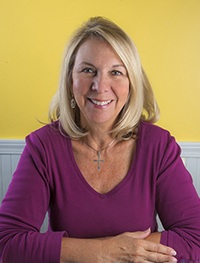 The country is in the midst of World War II, and Lexie Smithfield thinks she left danger behind her when she moved to New York City. Pursuing a career in psychiatric nursing and trying to do her part for the war effort, she has no idea new danger awaits when she unknowingly encounters Nazi saboteurs who also take the Long Island train to Manhattan. Her fiancé Russell Thompson has also moved to Manhattan where he works as a hotel manager and moonlights playing piano for the USO. Due to an old injury, Russell is unable to join the military and isn’t satisfied with his contribution to the war, so when an opportunity arises for him to go overseas, he has to leave Lexie to pursue it. 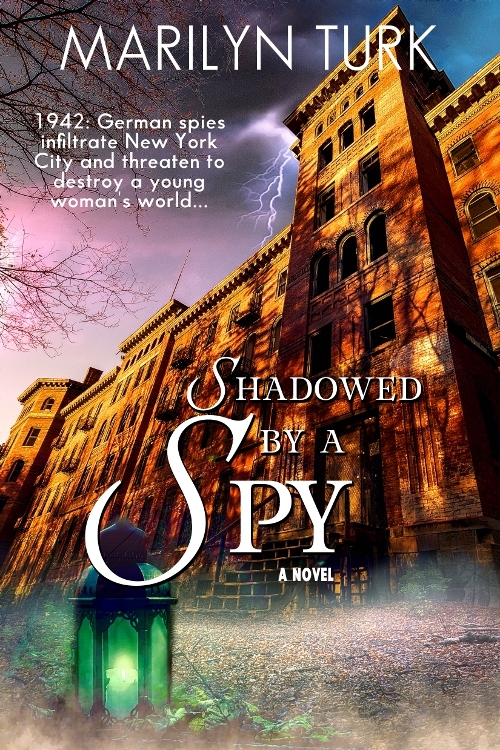 Alone in Manhattan, Lexie senses she’s being followed, but by whom? And when a patient escapes from the psych ward, her fears increase. Who will protect her now that Russell is gone? I have done puzzles from time to time. I get frustrated easily!! Thanks for the fun post. Love doing puzzles! There were 5 girls in my family, and we worked jigsaw or word puzzles all the time. If I had time now, I would have a puzzle out, because to me it is relaxing and a fun time to talk with each other. However, I have a hard time ignoring the puzzle. I always think "just one more piece" which leads to another & another &.... Love this history! Becky, your family sounds like it was fun! I like the way a puzzle can bring people together. When we have one out, each family member that walks by is tempted to stop and fit a piece in. My grandsons live to do puzzles when they come over. I like brain teaser puzzles and spy stories. This one sounds great! I have done puzzles all of my life and love the challenge. My husband also loves them. We passed this love onto our two children. There are free puzzles you can get on your kindle. Every day at lunch time my husband and i will do a daily puzzle often times in competition. LOL Thanks for sharing today. have a wonderful Wednesday. Thanks for telling me about the free puzzles on kindle, Lori. What fun that you and your husband compete on the puzzles! Will have to tell my grandson about that. It's funny how we work puzzles and use other things daily and never think about where they came from. Thanks for this interesting post. Thanks, Vickie. You know many years ago I probably asked why they were called "jigsaw" puzzles, but I don't think anyone knew. Interesting history about puzzles, Marilyn. Our family did puzzles growing up. I still like to do "jigsaw puzzles" and the time sure can fly by while working on it, just like a fabulous book that you are wrapped into reading till the early morning hours. Thank you for sharing the history of puzzles.